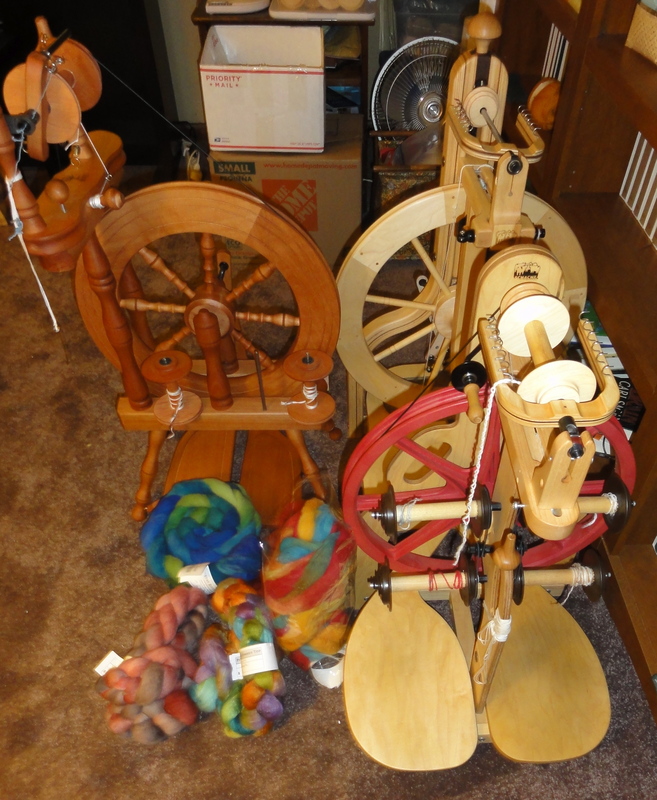 Spinzilla starts in less than 90 minutes here in the Eastern Time Zone of the US. I’m ready. Three spinning wheels and five braids of fiber. How much can I spin in one week? This entry was posted in Spinning and tagged Spinzilla. Bookmark the permalink. Beautiful wheels and fiber! Enjoy! Thanks. I think it’s going to be lots of fun.